Subscribe to the Oliver gazette to receive occasional product updates, news and competitions. 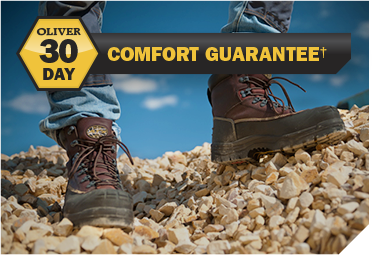 The Oliver Promise is to provide… the most comfortable, best performance and most durable footwear. Oliver guarantees total comfort. From our energy absorbing soling technology to removable COMFORTcushion® PORON/PU footbeds and leather uppers, Oliver delivers superior comfort with every step you take. Oliver provides total-foot support and superior stability which not only keeps you safe at work but comfortable all day long. Oliver boots and shoes are built to last with tough, quality materials and a construction that protects your feet from hazards all year round. Try a pair of correctly fitted Oliver Boots for 30 days and, if you’re not completely satisfied, return them to the specialist dealer you bought them from for exchange or refund†. †Must produce dated receipt and the guarantee tag. This is only available for the AT 45 Series, AT 55 Series, AT 65 Series, ST 44 Series & PB 49 Series shoes and boots. HYDROstop® offers a 3 year guarantee against the effects of hydrolysis and microbiotic attack on the sole of your shoes or boots. 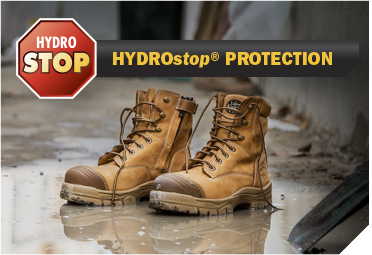 HYDROstop® is only relevant to the WB 34 Series and WB 26 Series (non safety) shoes and boots. Oliver stands for quality, comfort and protection. 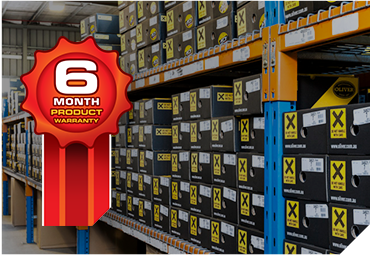 That’s why our safety footwear is backed by a 6 month Manufacturers warranty… the Oliver Promise. Oliver leather safety shoes and boots are warranted for six (6) months from the date of purchase against defective workmanship and/or materials when used under normal conditions for the purpose intended. The warranty is void if in the opinion of Oliver that the product has been misused or subject to excessive wear and tear including exposure to chemicals, cement, lime or heat if the footwear has not been designed to be used in these environments. As a requirement of this warranty the purchaser must present the footwear and provide evidence of purchase. Please return the footwear to the place of purchase. The footwear will then be returned to Oliver for inspection by an authorized Oliver employee. If the footwear is defective, replacement footwear will be provided by Oliver. Airport Friendly Footwear - guaranteed not to set off metal detectors. 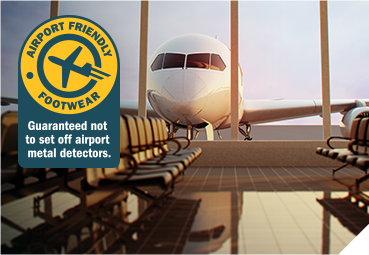 Oliver's ST 44 Series and AT 45 Series shoes and boots feature a non metallic safety toe cap and non metal hardware that won't set off the metal detector as you pass through airport security.